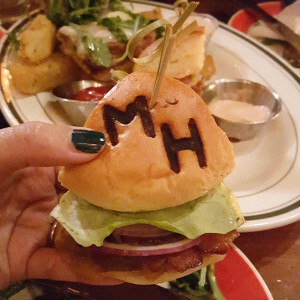 MH is for MALT HOUSE! Vin and I were invited to a press dinner at The Malt House in the Village. As I walked in my first thought was, “Whoa. A place like this wasn’t here when I was at NYU!” I was used to, how to put this lightly, seedier and cheaper and more rambunctious venues that more often than not resulted in bad decisions, like hangovers from crap booze and stomach aches from crap food. No, if a place like The Malt House was around when I went to NYU, I’d probably be a broke but well fed regular!